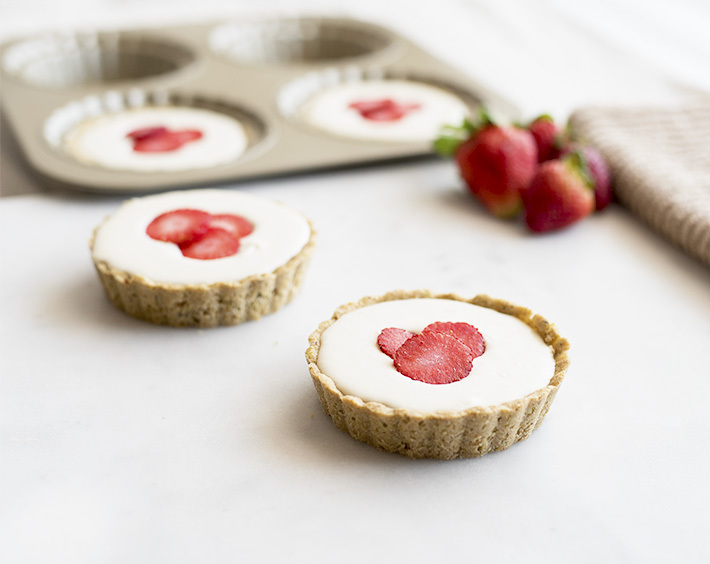 Enjoy these refreshingly sweet and tangy tarts to cool off in the upcoming spring and summer heat! The pistachio crust is a perfect compliment to the fruity flavors of the tart filling. 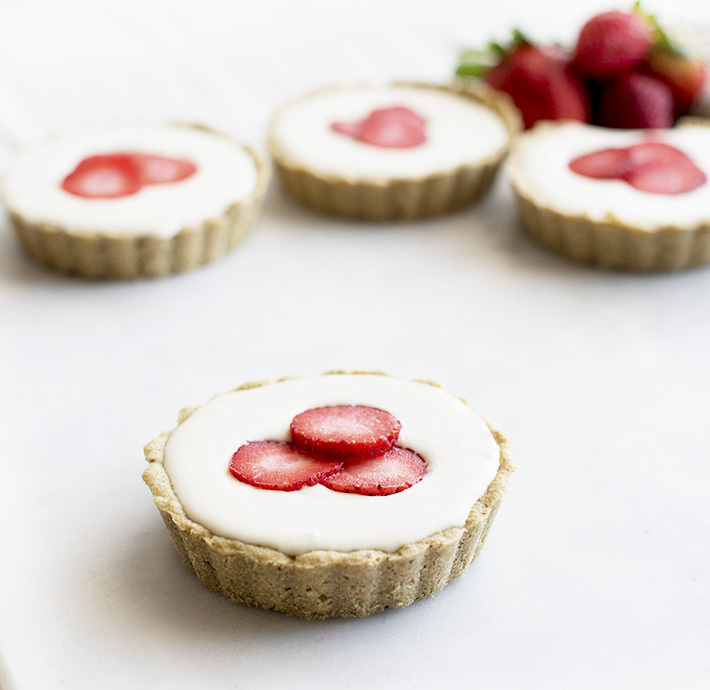 Made without any added sugar, you can cure that sweet tooth without the typical spike in blood sugar from traditional sugary tart recipes. 1. 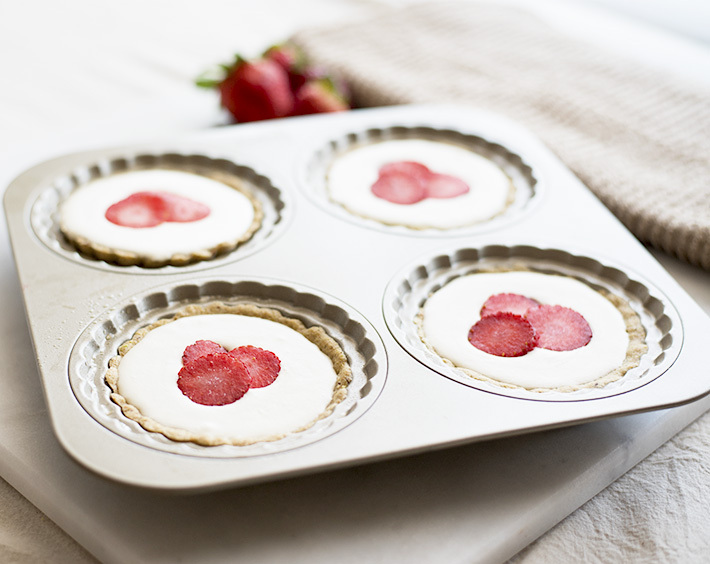 Preheat oven to 325 degrees F. Spray 4 mini tart pans with non-stick spray and set aside. 2. Mix together crust ingredients until crumbly. Evenly spoon crust into each tart pan and press down with your fingers until crust covers the bottom and sides of each pan. 3. Bake the crusts in oven for 10-15 minutes, or until slightly golden brown on the edges. Remove from oven and let cool. 4. 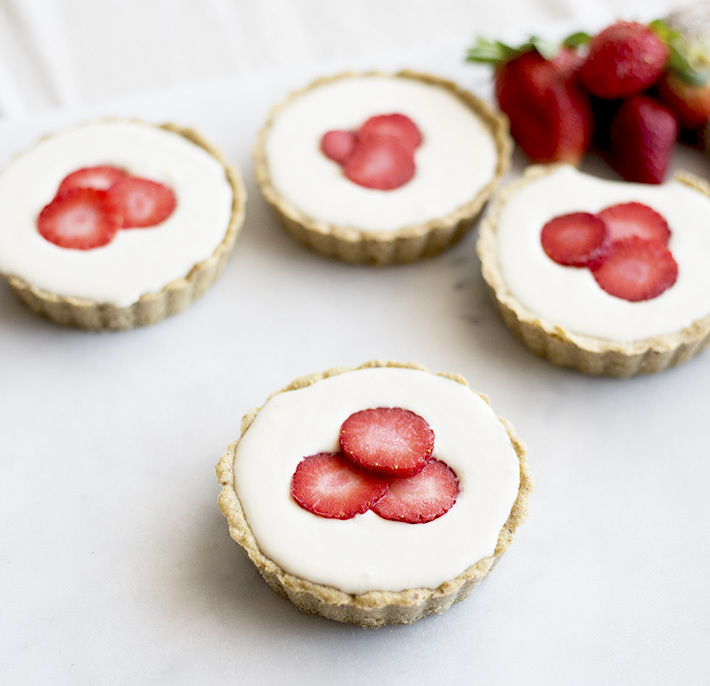 Blend together tart filling ingredients, except strawberries, until smooth. Evenly spoon filling into each pan on top of cooled crust. 5. 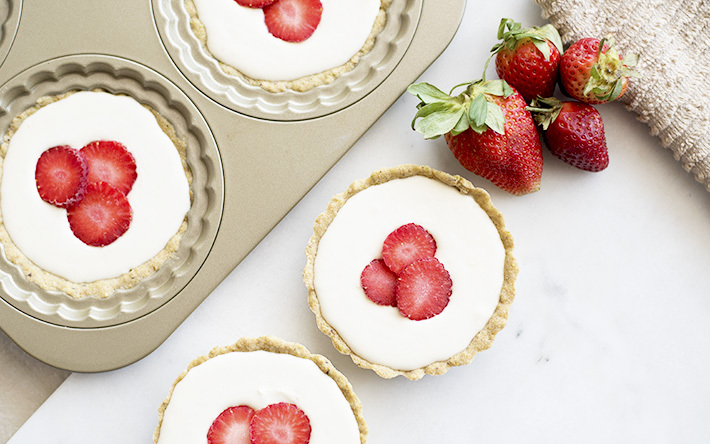 Place tarts in the fridge for at least 2 hours. 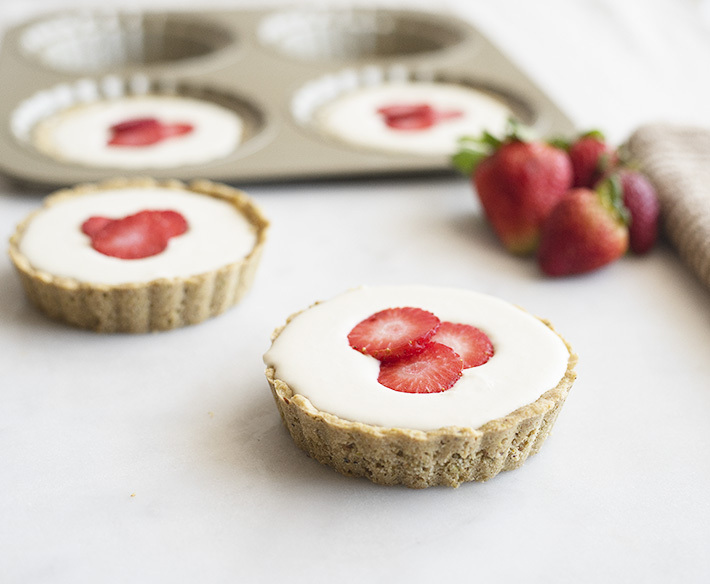 Remove from fridge, top with strawberries, and enjoy! Hi Yummie,I am planning to try this recipe out.However,I am wondering to see delicious dishes.I love to cook.Thanks for sharing this nice recipe details with us.Happy and looks so good.Do you have any difficulty to write good points in your essays,if you have you can write it well by taking help from custom essay writing services,it will be get through internet.So try to write better and make your essay better at any level.Its the better way for you to make your essay with good contents.